A kids bedroom is his own little territory where he spends his most of the time playing with his friends and toys, doing his school work and other playful activities. So that when he enter his room to inspire a world of beautiful and hot stories in which nothing bad can happen, where his preferred characters watching his sleep and where Mommy and Daddy are always with him, even on the nightstand next to his crib? Before you decorate the nursery is very important to have in mind his personality. Environment should be happy to stir their imagination. So let your children participate and choose the color for their interest, because the room should reflect a child’s personality and not his parent’s effort. Kids’ bedroom should be arranged periodically, given that they are growing and developing, both psychological and emotional. Paintings are beautiful and they look more beautiful when used for decorating wall. There are lots of wall painting ideas and all of them are unique due to color schemes and painting techniques used. The three basic types of color schemes- warm, muted and cool- can be used for different moods. Warm colors- red, yellow, orange and their combination- make the rooms bright and cheerful and are best for wall arts. Cool colors- blue, green and violet- help to make a small room look bigger. Muted colors are most popular colors these days used for painting walls and they also help in making a small room look bigger. Bright, colorful and cheerful wall paints will help in creating an exciting and positive environment for the kids. Different concepts for their room can be used such as painting their rooms with their favorite cartoon characters, jungle themes, poems and nursery rhymes. You can choose from a wide range of decorating themes, but remember that they should be relaxing and provide nice images to the small ones. Choosing right colors and paintings would add some meaning to the whole activity. You can use different painting patterns, wallpapers. Paint anything- scenery, modern arts or figures in combination of colors- they will all look good! You can consider an aquatic theme, this giving you the opportunity to introduce shades of blue and green decorative scheme. 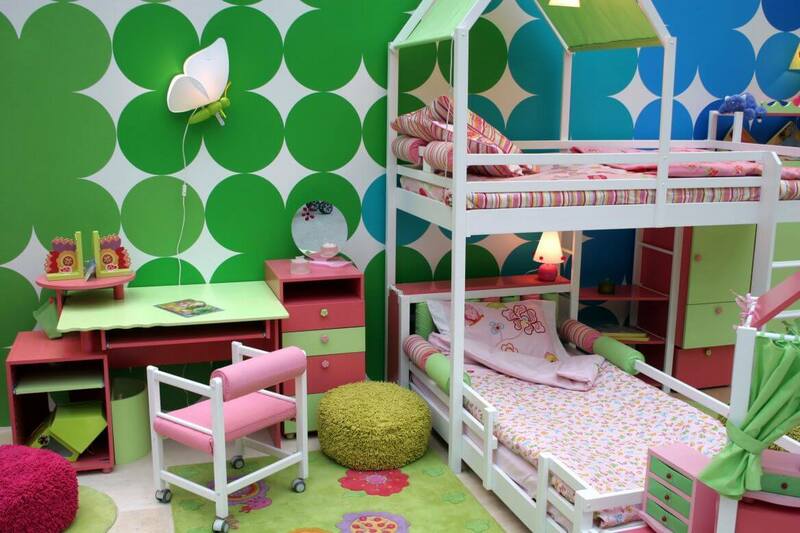 Floral motifs can also be used when it comes to arranging the kids room. You can paint their walls with different broad color stripes or in geometric shapes. You can also add in some of their favorite cartoon or fairytale characters, flowers, butterflies, fishes on their walls. You can also give each window a different bright color to make the room more vibrant. By simply adding the unique and interesting painting design, you’ll make a much more inviting place to spend time in. So, let’s add more fun and excitement to an ordinary kids bedroom. purchase over here so I would need to order it over the internet. viewing from my apple iphone. I’m trying to find a theme or plugin that might be able to correct this issue. to unravel my problem. Maybe that is you! Taking a loook ahead to look you. Os recomiendo esta información sobre pinturas ecológicas. Lovely Web site, Maintain the useful job. Many thanks!. All the pictures look great, however, i like fifth one, looks very clean and catchy.